Our markets are flooded with fresh produce from early spring to late fall. Sometimes, it’s an overwhelming process to find quick and easy recipes that take advantage of nature’s bounty. One of my favorite ways in which to use this produce abundance, is fresh soup. This small batch skillet soup isn’t an all-day, laborious process. It doesn’t require an oven or a lengthy simmer, which is wonderful in the hot summer months. 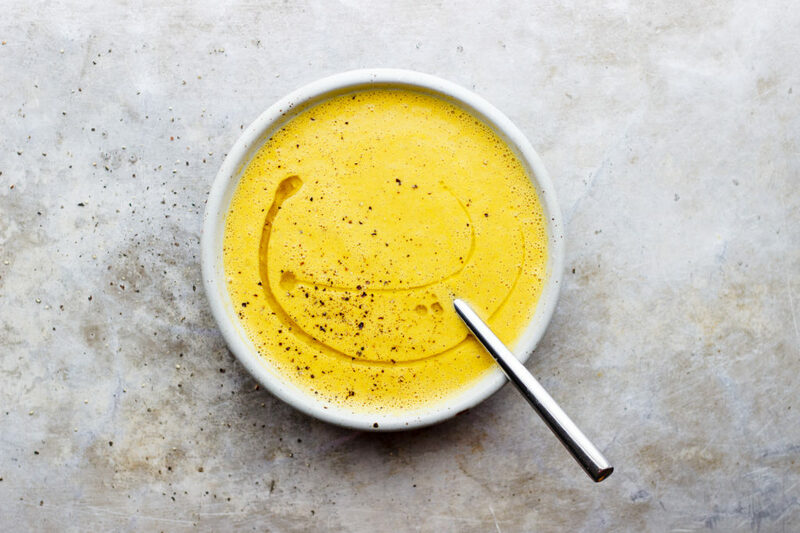 This spicy corn soup goes from skillet to blender to your table in under ten minutes. 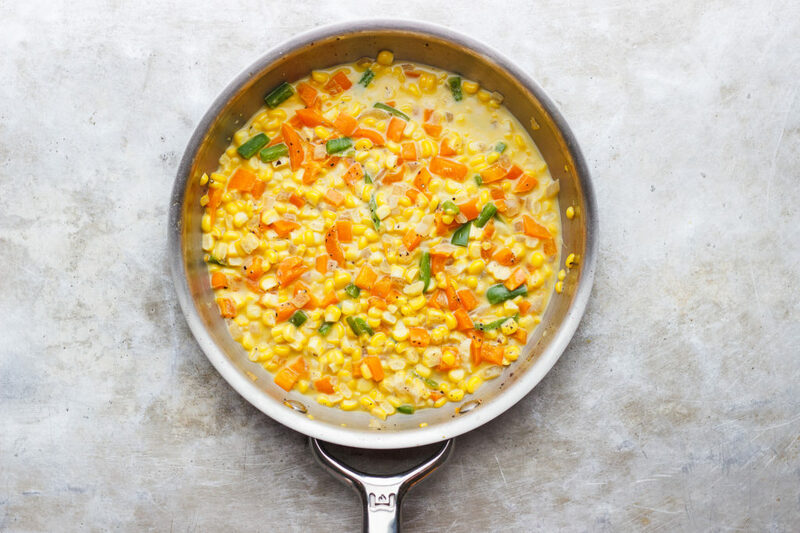 Fresh sweet corn is one of my favorite ingredients to use in a summer soup. It has a natural silkiness to it that, when blended, yields a smooth and creamy texture. 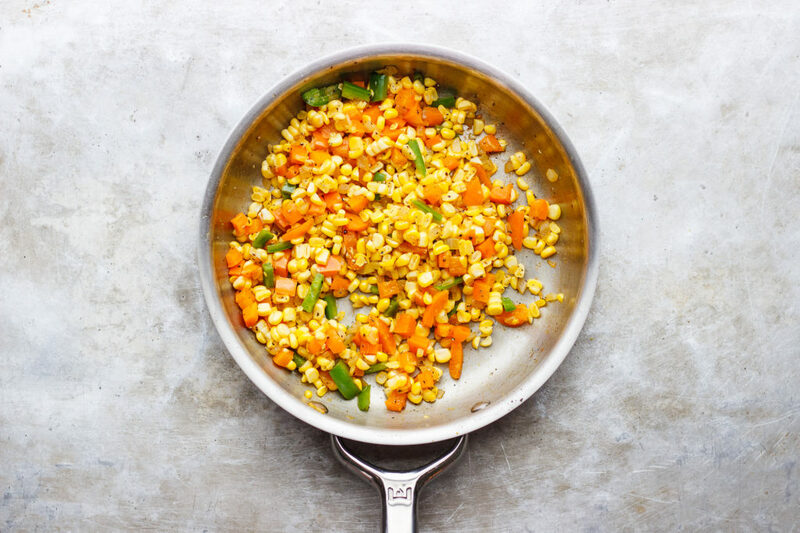 Fresh corn is simmered with sweet bell peppers, onions, some garlic and jalapeño pepper. 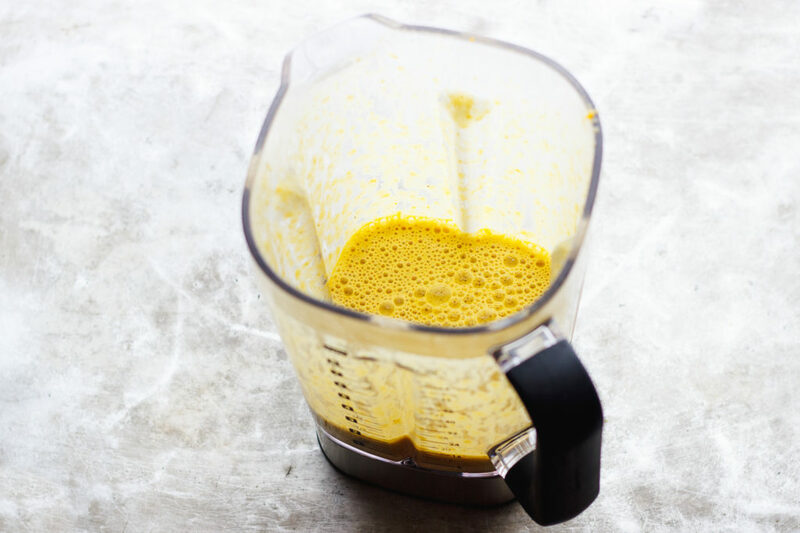 Then, it’s pureed with the Wolf Gourmet blender. 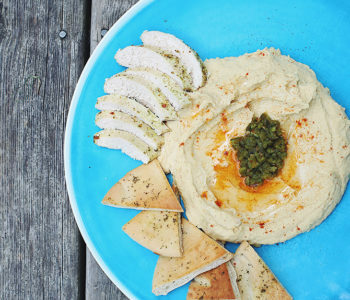 It should be enjoyed with some crusty bread and a fresh herbaceous summer salad. 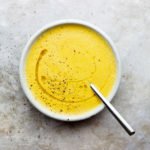 This seasonal soup is equally wonderful served hot out of the blender or chilled. Heat the olive oil in the skillet over low heat and sweat the onions for 2 minutes. Add in the bell and jalapeño peppers and sauté for 2 more minutes. Add in the garlic and corn and sauté for 4 more minutes. Turn the heat up to high, add in the liquid, season with salt and pepper and simmer for 2 minutes. 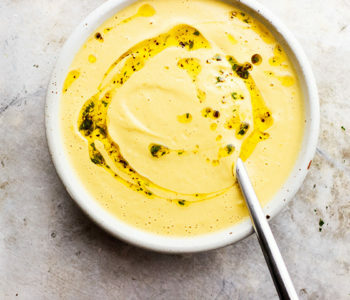 Remove the skillet from the heat and pour the soup into the blender. Add in the lemon juice and puree until smooth. Serve hot or cold. 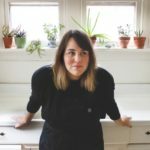 Sherrie Castellano is a former health coach turned food writer, photographer and pop-up chef based in St. Louis, MO. 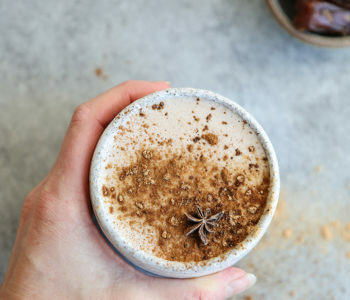 A collection of Sherrie’s recipes, stories and images can be found on her Saveur Blog Award nominated website With Food + Love. Sherrie is also the marketing Director for Big Heart Tea Co.